I am excited to announce the Relative Pitch’s first showcase!!! Over the years we have come across some truly special young people who are ready to take the stage for their own show. This is that opportunity. 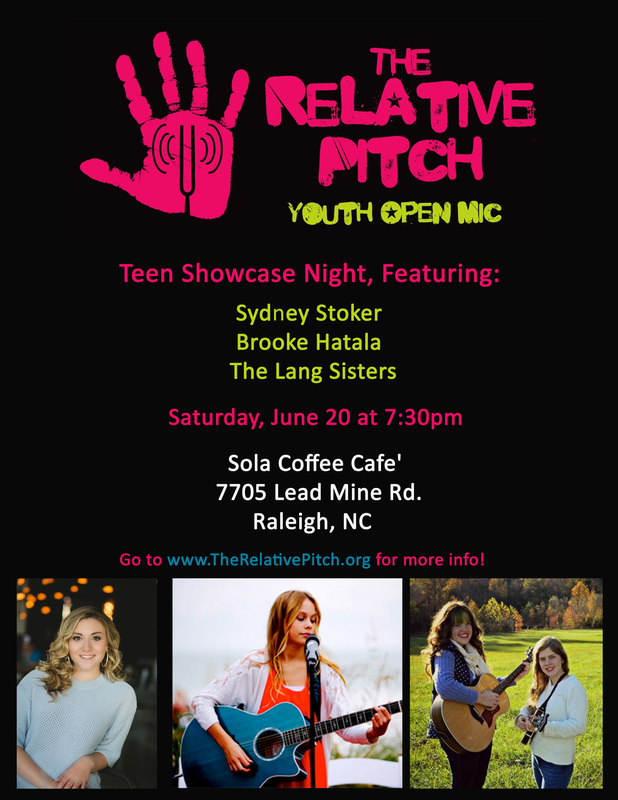 On Saturday, June 20 at 7:30pm at Sola Coffee Cafe​ we will be featuring Pop/Folk vocalist Sydney Stoker, Singer-songwriter Brooke Hatala​, and Bluegrass prodigies The Lang Sisters​. The show is free, we hope you’ll join us and support talented young people in The Triangle!! !